These lovely velour soft balls come with a rattle inside. They are multi-coloured stimulating babies sense of sight and the rattle stimulates their hearing. 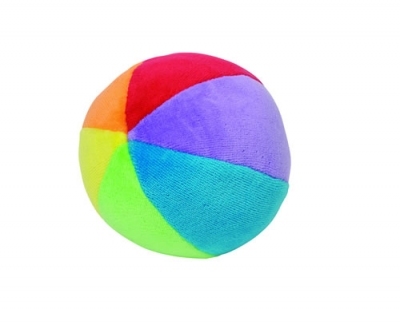 It’s plush and soft making it a lovely toy to throw to the baby/toddler and teach them how to catch and kick without causing any pain from hard throws. These soft ball rattles make lovely gifts for small children.